Understanding the wire and cable used in a household electrical system is less complicated than you might think. For one thing, most household circuits use one type of cable, and standard cable is just a collection of individual wires inside a protective jacket. The few circuits that don't use standard cable probably use some type of low-voltage wire (such as doorbell wire). Where circuits don't use cable or low-voltage wire, they may include conduit—plastic or metal tubing that houses individual insulated wires—rather than cable. However, the wires that are run through conduit are generally the same wires that are found inside sheathed cable. Residential electrical cable holds individual insulated wires that connect to switches and other devices. To an electrician (and code books) a "wire" is actually a conductor, the metal part of a wire that conducts electricity. Insulated wires have a nonconductive coating of plastic over the conductor, while bare wires (such as many ground wires) have no coating. Most conductors in new wiring are made of solid or stranded copper. Homes built roughly around the 1970s may have aluminum wire, and some may have copper-clad aluminum wire. Aluminum is still used today for some large wires, such as the heavy service cables that run from the utility grid to your house. The important thing to remember about wire material is that all devices, such as switches, outlets and fixtures, must be compatible with the wire material. Standard devices are designed for copper wire and are labeled "COPPER," "CO" or "CU." 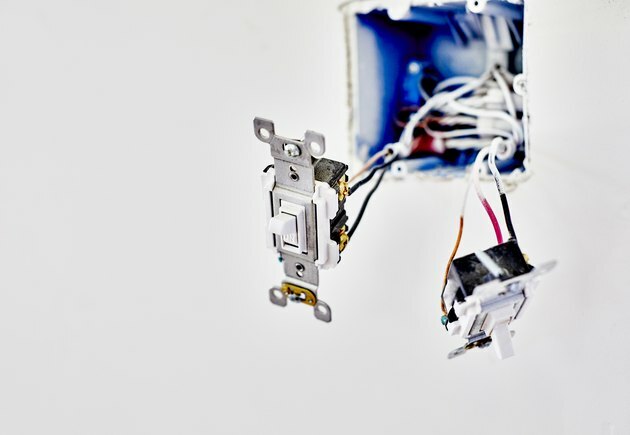 Aluminum wiring requires special devices and connection methods for safe installation. Wire size is a measurement of the conductor's diameter and is given a number indicating its gauge, or AWG, for the American Wire Gauge system. The lower the gauge number, the larger diameter of the wire. Gauge is important because it affects how much amperage (amps), or current, the wire can safely carry without overheating. This is called the current-carrying capacity of the wire. Standard household circuits for lights and outlets use either 14 AWG wire, which is rated for 15 amps, or 12 AWG wire, which is rated for 20 amps. Circuits for electric ranges often have 6 AWG wire (rated for 55 amps), and those for electric dryers may have 10 AWG or 8 AWG wire, rated for 30 and 40 amps, respectively. Almost all of the circuits in a house are wired with nonmetallic (NM) cable, commonly known by the brand name Romex. 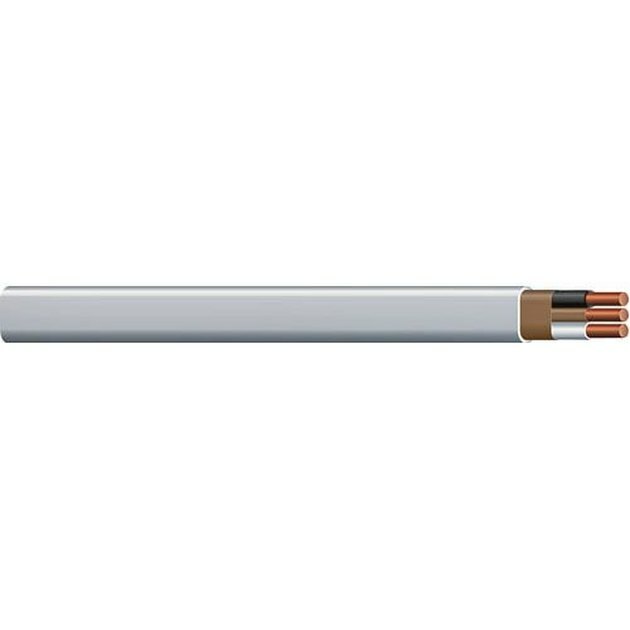 It is a flexible cable containing two or more insulated wires and usually a bare ground wire wrapped inside a nonconductive outer jacket, or sheathing. Standard NM cable is designed for interior use, where the cable is protected from damage and moisture. Other types of nonmetallic cable are designed for other specific applications. 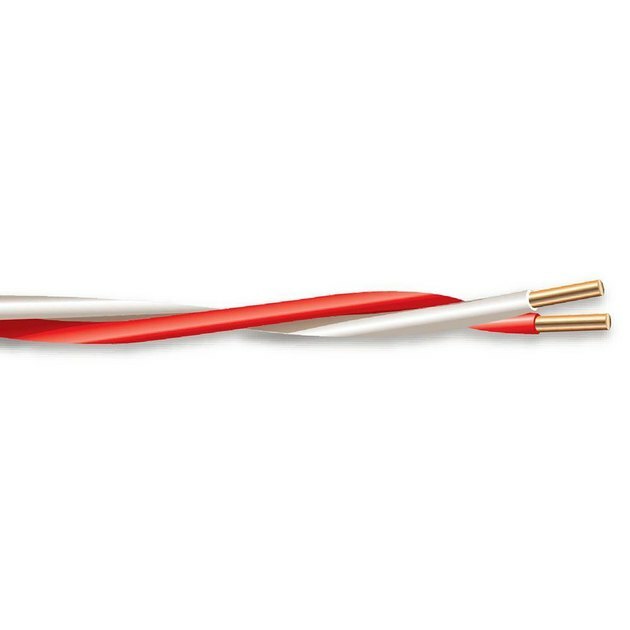 "14-2" cable contains two 14 AWG insulated wires. "14-2 w/Ground" (or "w/G") cable contains two 14 AWG wires plus a ground wire; the ground wire is not counted in the numbering system. "12-3 w/Ground" cable contains three 12 AWG insulated wires and a ground wire. 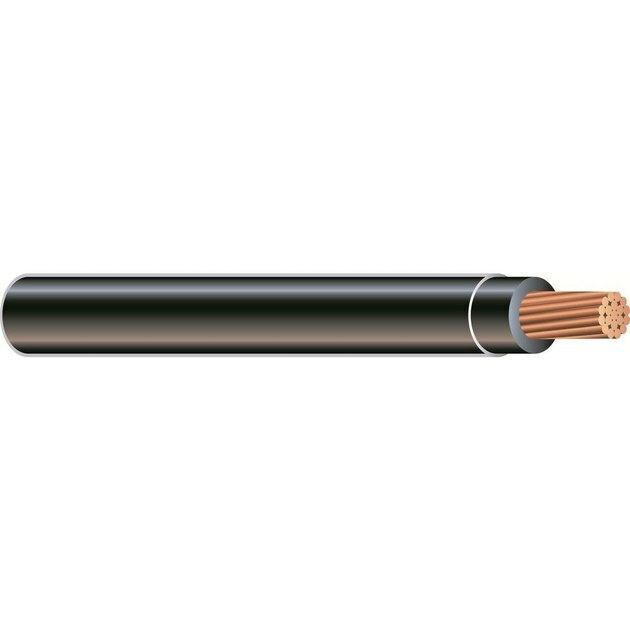 Underground feeder (UF) cable is a special type of nonmetallic cable designed for outdoor use. It can be installed in wet or dry locations and can be buried directly in the ground, per local code requirements. UF cable uses a similar stamp system to standard NM cable. Rather than being contained in a loose "jacket," the individual conductors are imbedded in a solid vinyl/plastic material. 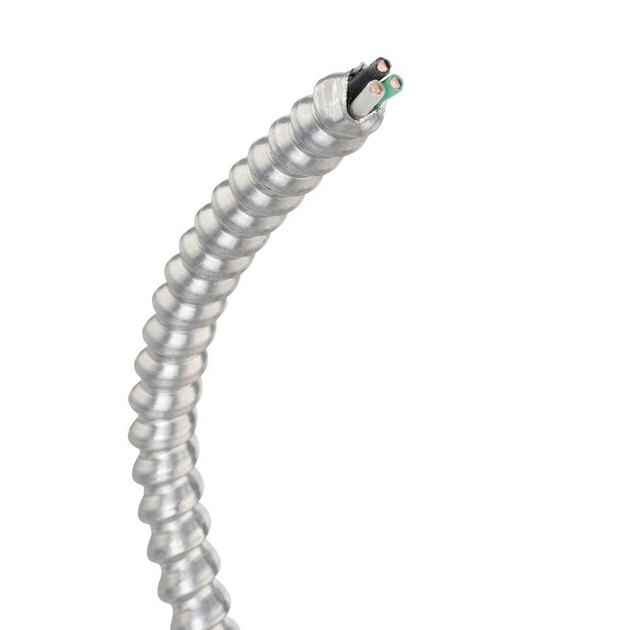 Flexible metal cable consists of flexible metal tubing with preinstalled insulated wires inside. 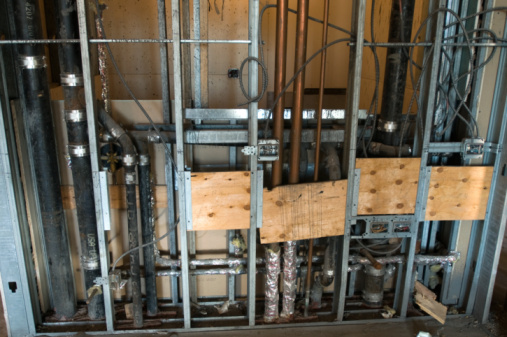 It is commonly used for short runs of cable that will be exposed, such as for connections to garbage disposers, hot water heaters or furnaces. The most common type of flexible metal cable used today is metal-clad (MC) cable, which contains two or more insulated wires plus an insulated ground wire. Armored cable (AC) is an older type of flexible metal cable that does not contain a ground wire. Instead, it has a thin bare wire called a bonding strip that bonds the cable to metal boxes or other fixtures at either end of the cable. Doorbell wire: also called bell wire; insulated wire, typically 20 AWG, for hard-wired doorbell systems, intercoms and the like. 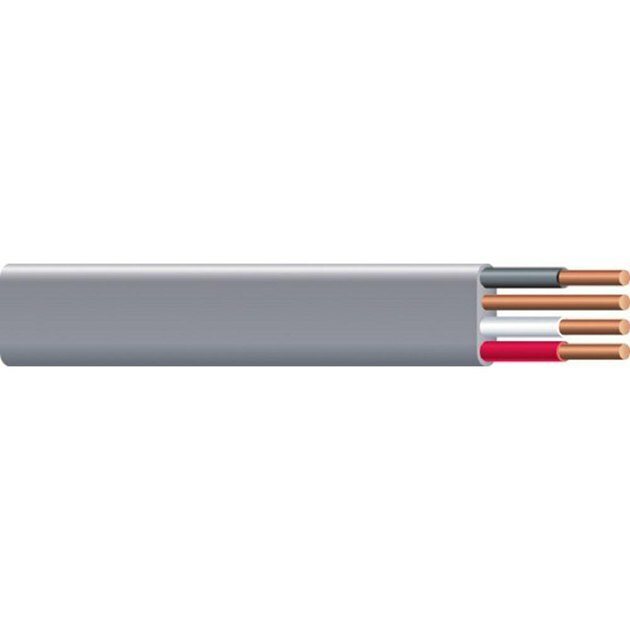 Thermostat wire: cable containing five or more insulated wires for connecting thermostats to heating or cooling equipment. LV lighting wire: two-wire insulated wire designed for low-voltage landscape lighting; can be buried directly in soil. Telephone wire: cable containing four or eight insulated wires; traditionally used for connecting phone jacks inside the home. Data cable: cable containing twisted pairs of insulated wire; the most common type in homes today is Cat 5 cable, which has four pairs of wires; used to connect phones and computer devices; carries a stronger signal than telephone wire. T: thermoplastic; the primary insulation material. H: heat-resistant; HH indicates a higher level of heat-resistance. W: wet; insulation is suitable for wet locations. N: nylon; insulation contains a coating of nylon for durability and resistance to oil and gas.